NSM and NSM member congregations do not provide any financial support to families. This can enable dependency, makes mutuality difficult, and can create challenging dynamics between NSM immigrant members. If the person is unemployed, we can use NSM congregations to find jobs. 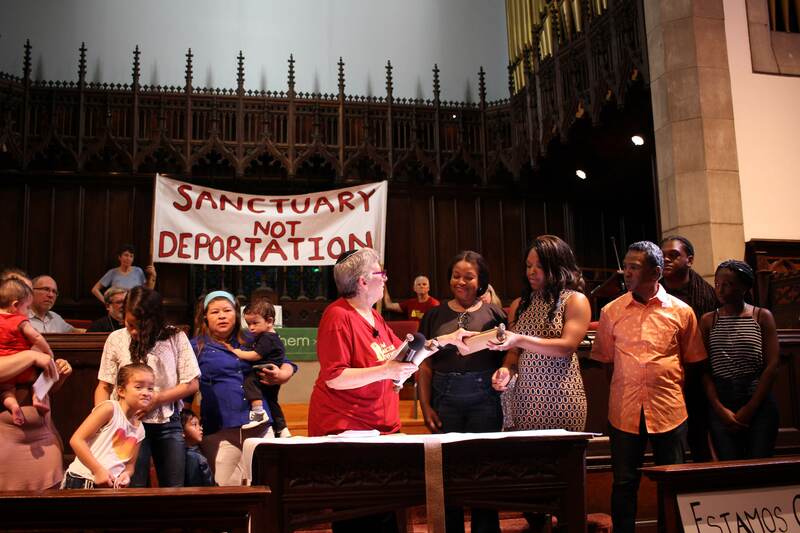 Families are never obligated to share their stories of migration, detention, deportation, etc. Instead, Accompaniment events seek to create safe spaces with personal sharing opportunities for all to share and learn about each more deeply. We welcome the opportunity for the family to share their migration story if they so choose. The congregation and family keeps NSM staff informed about Accompaniment activities, court dates, media opportunities, and issues that arise. The family and congregation works with staff to strategically design programming and activities. Provide referrals to family on other needed services, such as therapy, school enrollment, education opportunities, etc.